Read my interviews with yogis Dianne Bondy, Mary-Jo Fetterly, Rudra Swartz and many more to come! Piper, who has been teaching yoga for 22 years, is a former actor. She teaches at Kula Yoga in Tribeca, The Shala andPrema Yoga in Brooklyn, and is on the movement faculty at NYU’s Tisch School of Graduate Acting and The Yale School of Drama. Known for his upfront, street-smart teaching style, sprinkling his explanations with four-letter words, and teaching in cargo shorts, Bryan Kest is one of the original spiritual gangsters, and yet he comes from an elite lineage. A student needs to be an empty vessel to receive the teachings from the teacher. For example, if you have two glasses to fill with water, and one is empty and the other is full of milk, the empty glass you can fill with one glass of water, the glass with milk will take many glasses before it is full of pure, clean water. “If you don’t like my class, that’s okay—you don’t have to come back, but be open while you’re here.” Straightforward and eloquent, Jason Morris commands your attention right away with his provocative tone, core-based cues and unusual sequencing. Check out my new piece on Five Points Journal of Art and Literature! Fall. This time of year, September especially, is always a mix of emotions for me. A big soup of wistfulness, forward-thinking, nervous energy and reflection. Luckily, it’s also the season when I most enjoy running. After summer has burned off, the light starts to shift, and the smell of the earth rises up again… and I’m ready to run. After being an urban runner for several years, I hung up my sneakers for a good while, and now I only run in the summer when I get out of the city. The hot sidewalks and muggy air quality just don’t jive with this yogi’s need to breathe. Fall and winter are different animals though, and this evening was a perfect one for running again. Sometimes I forget the pure joy of leaving the house with only my keys and a $20 stuffed in my shorts just in case. Sometimes I forget the $20. And sometimes I leave my hair down. So tonight I got out there, and took in my new neighborhood in new climes, and it was pretty. The basketball players were out, and so were the runners and the kids in the park. The guys in front of the deli waved, and everyone looked happy to be outdoors. My “breathing-conscious” body enjoys running more now after so many ujayyis… What can I say? I’m blessed to have running and yoga in my life–grateful for the mat, sneakers and late September evenings. Root down to rise up! We’ll see where the chair takes me—I’m excited to share this wonderful practice with those who need it! It’s been an interesting summer. I got certified as an RYT 200 in June, and since then I’ve spent most waking moments thinking about… Yoga. As a new teacher, figuring out which direction(s) to take and how to best thrive doing what I love, as well as combining it with other loves, like writing, has been an mind-expanding and slightly exhausting process! Long story short—since that’s what blogging is all about it seems—although I’ve been happy as a movement teacher at a private elementary school students for the past several years, it wasn’t until I discovered Newark Yoga Movement as a yoga teacher that I got really excited about teaching yoga to kids. Now to back up a little bit—that isn’t completely true because as I was in teacher training I started doing more yoga with my students than I had in previous years, and that was very wonderful, especially yoga through storytelling. There’s nothing like a training to make you feel grounded, and so I was, and my students benefited. 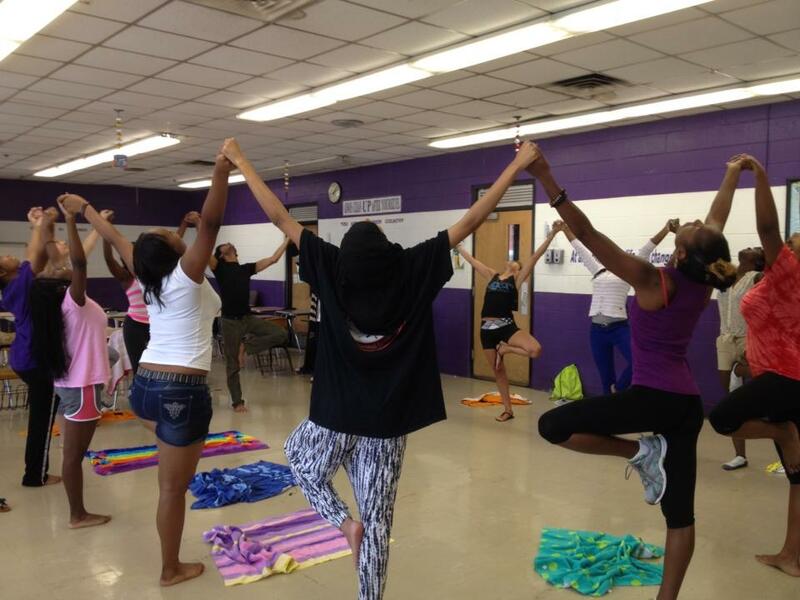 But in late spring, through my teacher training pal Nicole, I discovered NYM, a non-profit that brings yoga to under served communities and schools in Newark. The set up: A yoga teacher, like me, goes to a school and teaches 15 to 20 minutes sessions to several different classes in a morning or a day. What I found so innovative about the program is that the yoga takes place in the classroom (the students get up from their desks, push them aside and practice). It’s a good feeling for everyone, teachers and students alike, to break down that “classroom wall” for a few minutes and then put it back together again, refreshed. You have the support of the classroom teacher and the kids dig it because it’s a fun break from whatever mathness or sitting work they’ve been up to. 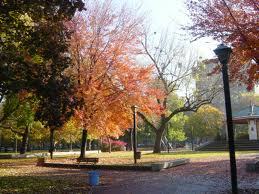 So this fall, Nicole and I will be working in Newark together at various schools, and, well, I just can’t wait. Jump back. Jump forward. And even if you don’t, you don’t care at this point. But this Yogi’s defenses go up: Hanumanasana. this story will help me next time I attempt it. See what you come away with later. “Don’t worry, trouble’s coming.” And it did. And I thought. I thought. I thought. What. If. I tear myself?! But I got closer down, and it felt good. Strong. 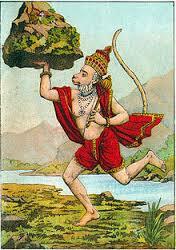 A strong monkey. I like that. Shtira and Sukha –the Yogic concepts of being grounded and easeful. Shtira—ground, firmness, stability, core, and most importantly, an attentive, focused mind. Sukha—joyful, easy, and relaxed, and most importantly, open. In Yoga, in asana, we want both—the equilibrium of firmness and lightness and the interplay of the two. And the thing is, it’s difficult. There you are in a class, directions swirling around you, breathing instructions, and the effort you bring to the space–the desire to make the best of your time–that precious commodity. So the next time you are in a challenging pose or a pose that’s very familiar, find the ground, root into it, and lift. It’s there for you in every pose, from an active pigeon to diamond to Suppta Baddha Konasana (where the joy and “lift” is in the delicious opening of the hips as the mat absorbs your back)… Rise up from the earth and ascend, be the cord between heaven and earth. understanding the children who sometimes bark in the pose. here I am, in the V of life, quietly barking. For me, Yoga is the dawn. It’s the orange and black quiet in the back of my mind. And it’s the dawn that has opened up my life in ways I never expected. I came to Yoga after heartbreak. It had always been there for me in one form or another, but after heartbreak, it was the thing. I rolled out my rose colored mat, and let the gentle slap take me away. I returned to Yoga this time with a clearer sense of what it could offer me: strength, balance, generosity and magic. And most of all, a place just for me. But what really happened? I met Kevin. He was my first real teacher, in the sense that he gave me what I needed without knowing it. That’s a teacher. One who gives without knowing who they’re giving to, just that deep intuition that their voice and message will transport you. And a consistent desire to guide you on that journey. Now this music has melancholy moments, but somehow coupled with Kevin’s upbeat, clear voice and the spare, clean and Oh-so-spacious studio, I felt renewed. And, OK, yeah, I don’t mind melancholy. Side note here: Why are we always trying to be happy? How about being in it on the mat? Whatever IT is. It’s a great place for curiosity. Rise into your Warrior, ground yourself in your Lizard… Utthan Pristhasana, slither (yes, wiggle in the pose!) And open up that chest, those collar bones as your rise up, lifting your arms into that gorgeous transitional state of full openness before you bring your hands to heart center. Let the art of the practice show itself to you. OK. So let’s cut to the track, “Flying”—because this is where it all comes home for this Yogi. This is where the dance begins, whether you’re a -yasa, -sara, -shtanga, or a Yada Yada practitioner, this is where we move into movement. If you’re a teacher, this track is about 30 minutes in, which is nice, if you’re class is getting its’ groove on at this point. I’m using it right after the warm up these days; I like the energy it brings to half suns or full suns. It’s the dawn thing, and we’re flying a little right here at the beginning of class. So exciting. But, hey, you can mix and match this album anyway you please–as a listener, as a teacher, as a writer, as a human. It just hums. One thing I remember Kevin saying early on to us was, “You have everything you need, right here.” There were so many ways to interpret that but what I knew he meant that night was: We all are perfectly imperfect, and that is all you need to begin to practice. So thank you, Kevin, Garth, and Yoga Shunya for providing the right everything for me, just when I needed you. You did a great job Kathleen. We love your website-every bit of it! We love the font, the colors, the pictures and the text!! many blessings “on” and off the chair! 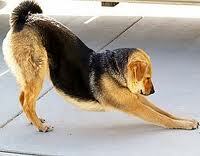 Kathleen, I really enjoy the thoughtful fusion of nature and yoga. The poem underscores that we exist because of what’s around us. As it’s largely in the first person, the words don’t feel dictated or forced at the reader; rather it makes you want to be a part of the self-healing process… I certainly do! Congratulations! Thank you, David. I like that – that we exist because of what’s around us… I will take that to the mat next time. Namaste!